The Confederates consisted of about 2000 veteran cavalry under General John S. Marmaduke. The standout unit among the Confederates was the Iron Brigade led by Colonel Jo Shelby, one of the more talented Confederate cavalry commanders of the War. 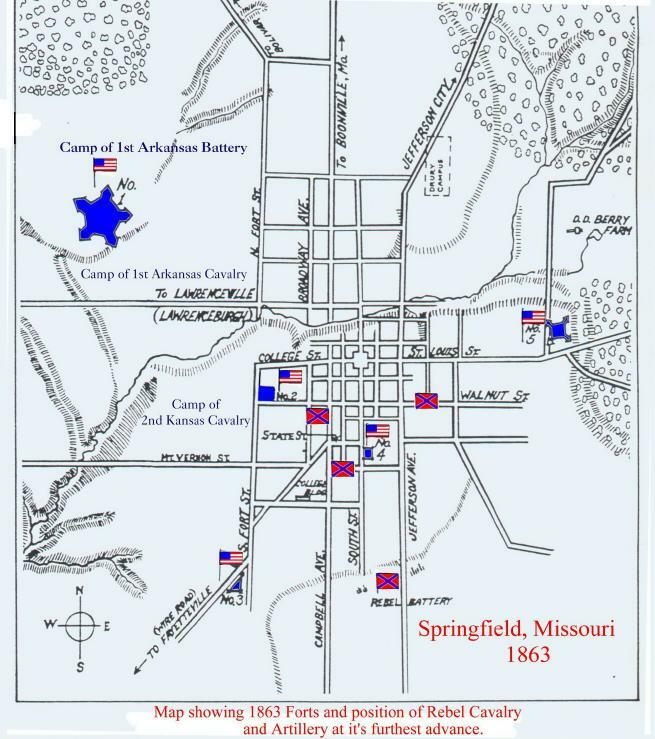 Dismounting three cavalry regiments, the Confederates attacked Springfield from the south beginning at 10:00 AM driving back Union militia and entering the town. Union fort number 2 which guarded the southern part of the town successfully repelled all Confederate attacks. Colonel Jo Shelby, who had tactical command of the battle decided to try to seize the town from the west and succeeded in taking a two-story brick building, normally used as an academy, that was surrounded by a stockade. The Union troops, surprisingly, had failed to occupy the building. The fighting here was fierce and frequently hand to hand as the Union troops attempted to retake the academy. As night fell the Confederates still had not been able to take Fort number 4 with one final attack and they withdrew from the town. Union casualties were 30 killed, 195 wounded and 6 missing. Confederate casualties were around 209 with approximately 70-80 killed.